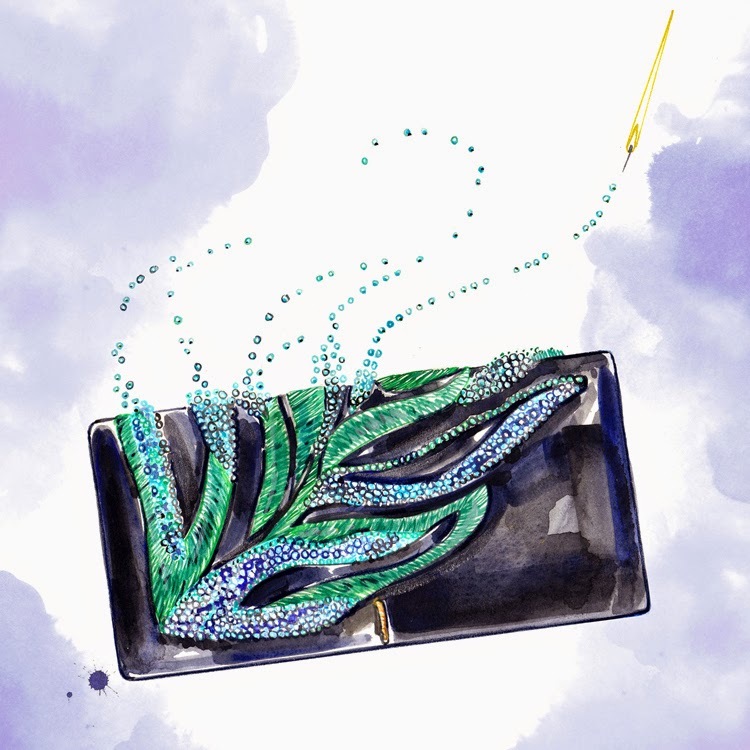 I'm so thrilled to share the second illustration in my Maiyet SS15 artisan series: the hand beaded Venus Clutch!! I loved taking this piece into the lyrical and surreal world to emphasize the romance of these artisanal accessories. To check out all the beaded clutches from this season, head over to http://maiyet.com/shop/featured/beaded-clutches and swoon! !